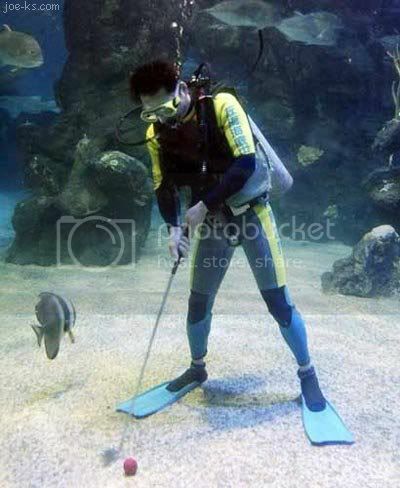 Golfers have decided that if we can practice our casting techniques on groomed lawns, why shouldn't they be permitted to practice their fine art underwater....? Is it necessary to yell: 'FOUR!'? ?